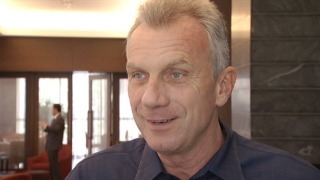 Niner fans who double as culinary enthusiasts can bid on a chance to meet Joe Montana at a special dinner in honor of Ronnie Lott's charitable foundation. Bidding via IfOnly starts at $500 for dinner for two at Stones Throw restaurant in San Francisco created by executive chef Jason Halverson in conjunction with Nancy Oakes of SF's Boulevard. The winner's table will be visited by fellow diner Montana and will receive a football autographed by Montana and Lott. Highlights of the menu include local halibut crudo, duck liver mousse with corn and cornbread, and Wagyu beef with smoked polenta and winter truffle roast beef jus. Proceeds for the night go to Lott's All Stars Helping Kids, which provides seed funds for Bay Area nonprofit startups with a mission to help low-income children. The auction for the event, which takes place on Sept. 28, closes on Thursday.